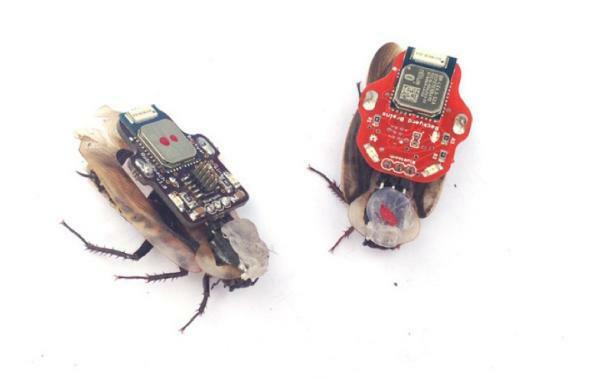 Backyard Brains’ RoboRoach: PETA protests idea of cyborg cockroaches. Everybody’s favorite protest group, the People for the Ethical Treatment of Animals, is at it again—this time in defense of cockroaches. Specifically, PETA wants to stop the sale of the Backyard Brains’ RoboRoach, a science education kit that enables kids to implant electrodes into a cockroach’s brain and then control the beetle with a smartphone app. Backyard Brains argues that its product is not a toy, but an educational kit designed to teach people about biological systems. PETA says the kit is akin to practicing veterinary medicine without a license—a felony—and the organization has filed a complaint with Michigan’s attorney general and state regulators. But that kind of logic isn’t going to sway an organization like PETA. It has long advocated against killing cockroaches, even going so far as to recommend live-trapping and releasing the things. Not to mention, we’re talking about the organization that has protested everything from Pokémon and Mario Bros. to calling sea creatures “fish.” It even wants to accost hunters in the woods with its own fleet of drones. So yeah, I think it’s pretty reasonable that it has a problem with kits that encourage kids to perform neurosurgery on small creatures. I’m not saying I agree with PETA, of course. Backyard Brains contends that the experiments have no lasting effect on the bugs and that dipping them in ice water anesthetizes them from pain. Personally, I think RoboRoach is a really interesting way to get people interested in science, which we need to do more of at all costs. And let’s be honest, if little kids messing with bugs is “practicing veterinary medicine without a license,” pretty much every inquisitive child I know is guilty.